If you’ve been in the dietary supplement industry for more than a few hours, you’ve probably heard that the best way to get your enterprise off the ground is with your own label. This could not be more true, especially in today’s decentralized vitamin manufacturing and advertising environments. Of course, making your own vitamins in your cellar is, more or less out of the question. The real answer is partnering with contract vitamin manufacturers who will custom build the vitamin that you want to sell. Now, you’ve got a big job ahead of you in finding the right company to partner with. That may sound like a tall order to fill, but the fact is that regulatory agencies and steep competition all but guarantee that safety and purity will be in place. That means all you have to look out for is your branding and marketing concerns. Creating your own vitamin or supplement is a great way to accelerate your profits, ditch the middle man, and build a strong business. Creating your own vitamin brand isn’t as complicated or as expensive as most people think. If you have an experienced and trustworthy team, you will have no little to trouble getting your product off the ground. Why Partner with a Vitamin Supplement Manufacturer? First, you will have much higher profit margins. 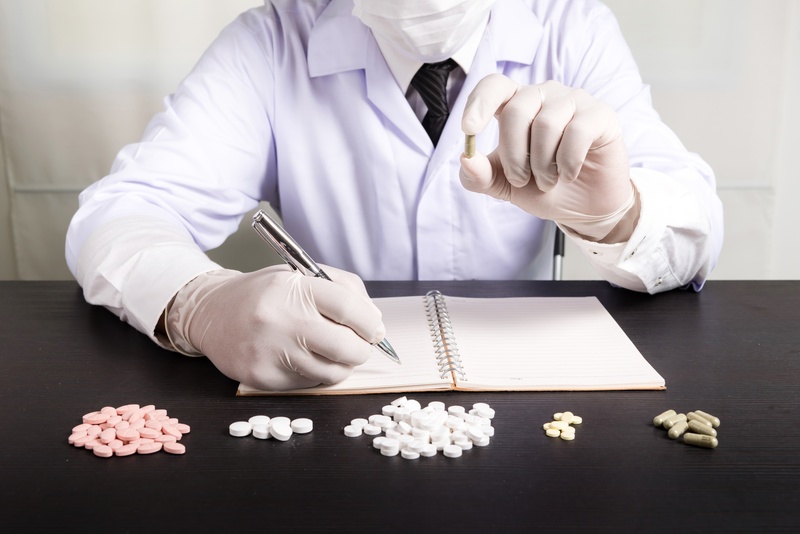 Resellers often see their profits double simply from making their own pills. It stands to reason since you’re no longer paying inflated prices for the products you sell. Rather, you’re only paying the price to manufacture them. What’s more, you can expect much higher levels of brand loyalty from your customers. When you buy someone else’s product and resell it, there’s nothing to keep your customer from going to another retailer to find a cheaper price. But if you are the only one who sells your product, customers who want it will come back to you. With your own line of product, you are in control. But if you sell someone else’s line, you’ll always be susceptible to the weaknesses of their brand. If they get some bad press, your sales will drop. The manufacturer might raise the price at any time, discontinue a line you’re selling successfully, or change the formula. When you produce your own supplements, you will never need to worry about any of those possibilities. This is rule number 1. If your products don’t work, they will fail. Period. You could spend millions on advertising, and make a little bit of money- but if the product doesn’t deliver results it will nose dive eventually. Customers can be burned once, then word of mouth gets around, and your inferior product will be sunk. Don’t be that brand. You must test your product using good science. If your product is a dud, take it off the shelves. Word of mouth is powerful- and not to be underestimated. Remember, dissatisfied customers never forgive- and they never forget. There are an unlimited number of ways you can market a vitamin supplement product. You can seek distribution in retail outlets. You can sell via the Internet. You can even employ direct mail advertising. You could go the old fashion route and buy spread ads in magazines. You could create infomercials. The list goes on forever. Ideally, you want to partner with a vitamin manufacturer who will walk you through the process of marketing. They should give you feedback about your brand message and help you choose the best media to advertise on. Avoid vitamin manufacturers who only make your pills and don’t offer marketing support. They also have an interest in your success, and they should act like it. Those who don’t could be taking you for a short and unsatisfying ride. The best vitamin vitamin manufacturing partners will help you from formulation to production and quality control, to the marketing and promotion your product. Getting your product on shelves at leading supplement retailers is the only way to real success. Selling it yourself is a good way to start- and it will give you some marketing data to use later on, but limiting your reach to your own shelves also limits your revenue potential. You want your products to be seen by as many customers as possible. So how can you convince store owners to carry your products when they are probably contacted by twenty different companies every two weeks? The secret is to start off by giving them a free sample product. Send them a sample of each product you offer completely free. They can stock in on their shelves, and make 100% profit with zero strings attached. If it doesn't sell, they will not have lost anything, and if it does- they get to keep all the profit. Now, once they have gone through the trouble of putting your product into their systems, it’s easy for them to place another order with you. If your product sells during this trial period, they will be calling you up quite readily, you can rest assured- and if it doesn’t sell, then the only one who bites the bullet is you. So this is a sure way to get some market research done- even if your product isn’t performing. However, once they have introduced your product to their customers, they will come back to purchase again if they like it. The retailer will want to keep it in stock. They will have no choice but to place another order. It's a win for you, for them, and for your satisfied customers. Now that you’re armed with the knowledge of why and how to leverage a manufacturer of vitamins to develop your own brands.